This made him to have a sleepless night. 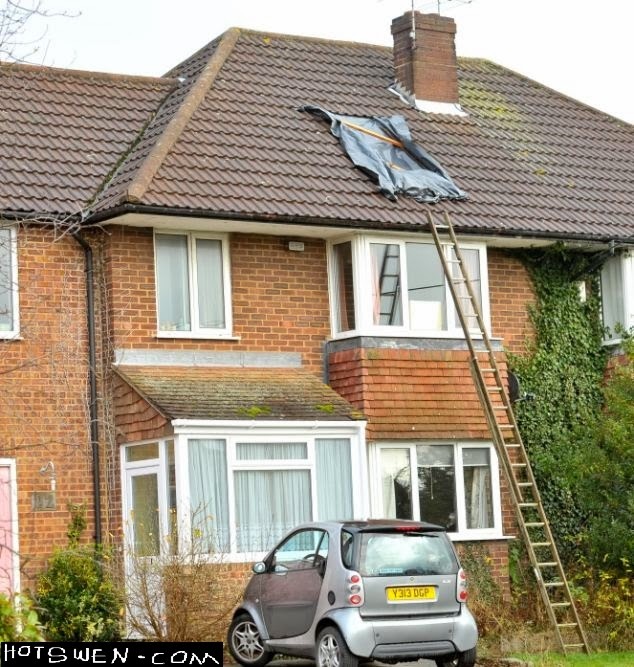 The next morning, he decided to fix the roof. 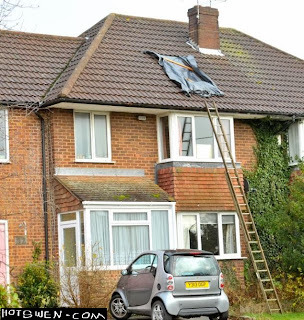 After scouting for a ladder in his neighbourhood, he tried to climb to the roof. Climbing wasn't easy, he panted and sweated but successfully climbed to the roof. As he was about to fix the damage, he heard a knock on his door. He yelled from the top of the roof; Who is that?. A tattered looking beggar showed up at the ground and said; Excuse me, can i see you?. Akpos asked; What is it that you want to tell me?. The beggar replied; Just spare me a minute. Akpos climbed back to the ground looking tired and asked the beggar; What can I do for you?. The beggar said; Can you give me 20 Naira?. Akpos thought for about 30 seconds and said to the beggar; Follow me! The 2 of them started climbing to the roof, panting and gasping for breath. They both got to the roof. After panting for a minute Akpos turned to the beggar and said; Sorry I don't have!